For many years, the ensemble Guitar4mation has been receiving enthusiastic critical acclaim by both the audience and the media for their original arrangements and entertaining interpretations of classical piano music. 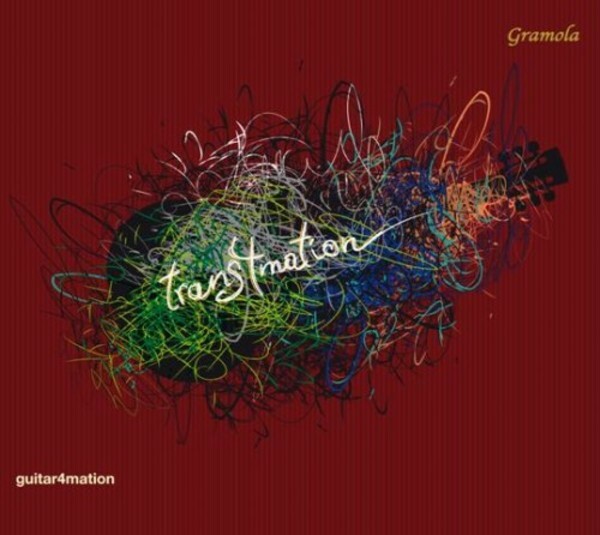 Their third album with Gramola, 'Trans4mation', reflects the ensemble's musical development over the years. Arrangements of piano music play as important a role as on the previous CDs, but this time they did not merely transcribe music by Chick Corea, Hermeto Pascoal, Robert Schumann or Frederic Chopin for guitar. Trans4mation also stands for the metamorphosis of a Prelude by Chopin into a bossa nova by Tom Jobim and of the famous Waltz op.64 No. 2 in C sharp minor into a very special Viennese-Venezuelan melange. Thus, Guitar4mation builds a bridge between the world of European Romantic music and the world of Latin jazz, between very different styles and continents.